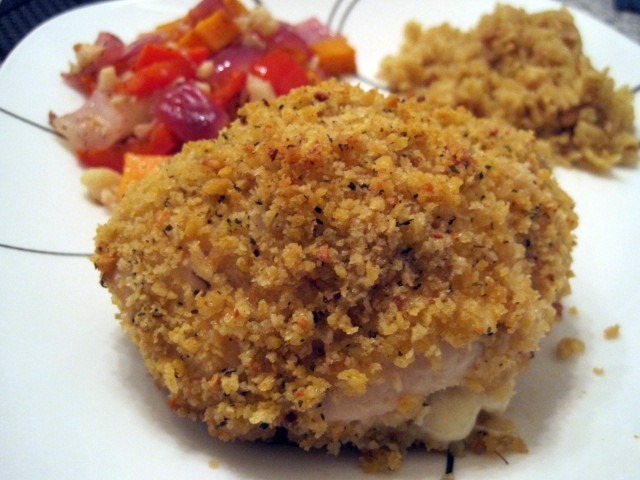 Happy National Cordon Bleu Day! 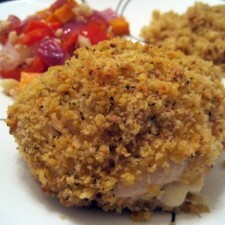 In honor of this, I thought I would share my favorite recipe for Chicken Cordon Bleu. This is one of Pete’s favorite dishes, so it is on the regular rotation of meals in our house. Serve with roasted veggies and rice. Preheat oven to 375 degrees. Pour melted coconut oil in large glass baking dish. Flatten chicken breasts with mallet between two pieces of plastic wrap. Lay 1 slice of ham and 1 piece of swiss cheese on flattened chicken breast, fold in half, and secure with toothpicks. Repeat process for all chicken breasts. 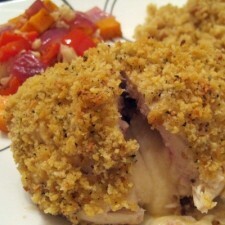 Coat each breast with flour, then eggs, then bread crumbs. 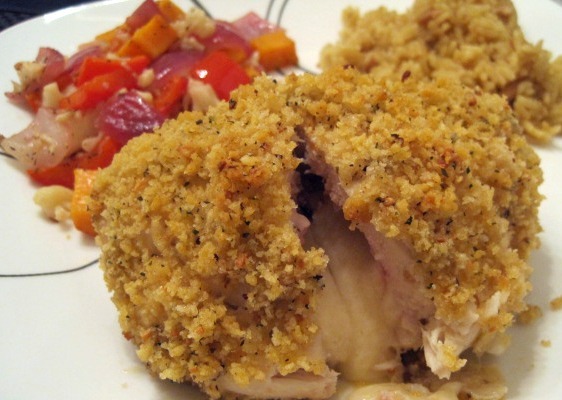 Place in glass baking dish and turn each chicken breast to coat with coconut oil. Bake for 40-45 minutes or until golden brown and cooked through. This looks and sounds delicious! Thanks for all the information on how wonderful coconut oil is!